If I asked you who Grace Darling was you would probably be able to give me a sketchy idea of lifeboats, saving people and lighthouses. That was extent of my knowledge without a book or google to hand to fill in the details. This book whilst fictionalising the story of Grace did something else for me. It filled in huge gaps in my knowledge of the event, of the way lighthouses work, the life that was led by these families and more importantly where women stood in the hierarchy of such things. 1938, Rhode Island,America. Matilda Emmerson has been sent to stay with a distant relative, she has disgraced her good family by becoming pregnant out of wedlock. The distant relative happens to be a lighthouse keeper and there Matilda starts to come to terms with her subsequent pregnancy and starts to learn a lot about her past. Even down to why she was called Matilda. 100 years previous and Grace Darling spots the Forfarshire in trouble and assists her father in the rescue of some survivors. In the days before social media and instant celebrity, the speed in which everyone knew about Grace is staggering for its time. Boat tours went past the lighthouse in calmer weather to get a glimpse of her and people wanted literally a piece of her. Locks of hairs, portraits it seemed these were the ‘selfies’ of the day. Grace is very humble about what she has done and sees no reason for the attention which is brought to herself, her family and the lighthouse. She remembers that lives were lost and the families that were destroyed. A book with strong female characters, some of them initially not that likeable until you start to realise the circumstances in which they are surviving. It is not only other people’s actions and emotions that can affect you. Your surroundings, the landscape can have detrimental effect to; the sea can tear them apart, keep them separate, can show you the truth and it can shape your life forever. If you like historical fiction and want something different, then this is certainly the book for you. A worthy and worthwhile read. 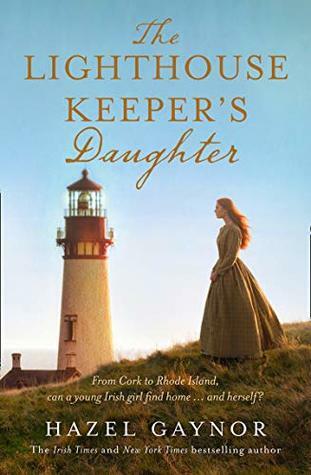 The Lighthouse Keeper’s Daughter is out now. Three generations of women are living at Primrose Farm, they have lost their husband, father, grandfather and whilst still reeling from the event they are struggling to hold on to everything that is dear to them. Including the farm. Rachel has taken on the mantle of farmer and not afraid to get her hands dirty or spend sleepless nights with lambing ewes, nothing is a bother even looking after her own small child, Maisie. Jill, Rachel’s mum is famed for her baking and her pudding, although Rachel is just as good. as she emerges from a stage of grief, Jill takes to making puddings for more than just her family. A small idea is transformed in a bigger one and when Jill and Rachel take on something on a larger scale it has to work to keep the farm going. With any of these gentle tales, nothing quite goes to plan and that is what makes it such a lovely story to read, you are drawn right into the story, into the farm, the kitchen and the smells of the baking as you care immediately about all the characters and what happens to them. Add in a big dollop of romance and all the fresh air of the countryside positively goes to your head. Tom the neighbouring farmer, attractive and still single, who is willing to help with whatever countryside or pudding emergency might be required. Can romance blossom over sticky toffee pudding and sheep? Or will exes, children and misunderstandings get in the way? I found this book such a joyous and uplifting read and showed you that you can diversify when you need to and keep those around you as close as you can – they will love you the most. A great read and if you like your stories, full of cake and countryside then this is a must. Think Countryfile and Mary Berry mixed together! Rachel’s Pudding Pantry is published on the 18th April. Amber, divorced and still single, working in her gift shop is still grieving for the child she lost ten years previously. Her child is now her work and she can think of nothing else. That is until a girl wanders onto the beach by Amber’s gift shop with no recollection of who she is, where she is, why she is there or even her name and age. Amber senses a story with this girl and the girl only seems to trust Amber. But can Amber help this lost soul when she is in fact still lost herself. Gwyneth is a famous wildlife documentary maker. She is never at home always on the way to or coming from the latest project. Gwyneth finds herself lost in the wilds of Scotland, by a frozen loch and decides to cross it to get some help. It turns out she will need the help. That help comes from Dylan McCluskey at home for Christmas. Two storylines, twenty years apart and with very different tales to tell. Both could have been seperate stories and Tracy Buchanan has created them so well that you had to keep reading because you knew at some point these stories were going to cross, to connect to unearth the secrets that had been kept for many years. Not only are we given excellent characters with flaws to relate to, with guilt and secrets to hide but the author has put it all in some rather bleak settings, the winter at the beach, the snow of Scotland even transporting us to Iceland where the light is not always so bright. All of the landscapes and places bring another layer to the story and add to the whole atmosphere of the story. This is a great read and one that you will get hooked by, I had to keep reading to find out the truth, the secrets and who exactly the mysterious girl without a memory was. 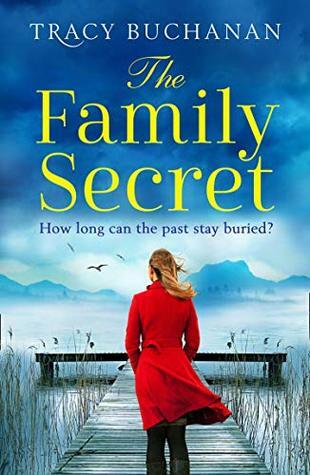 The Family Secret is out now. Lucie is on the run. On the run from something she did not actually do, but in the world of antiques, auction houses and reputation she needs to disappear for a while. Holed up in a castle seems a good as place as any. But there is work to be done at this castle – answering the job advertisement for a curator to record all the artefacts held within Bluebell Castle. Lucie has visions of Arthur Ludworth the current Baronet as some old relic who is going to be as difficult as he is helpful. What Lucie does not realise is she is about to walk into something out of an Arthurian Legend. Arthur Ludworth, eldest of triplets by minutes is left the legacy of Bluebell Castle and all the bad investments and therefore debts that his father left behind. He knows that he needs to capture the idea of perhaps opening up his home to cash in on the Castle’s history as well as its artefacts, but there is also talk of a missing painting which might explain the obsession that all Ludworths have had with Arthur, Lancelot and the Knights of the Round Table. Lucie finds herself enthralled by the story of the legend, the artefacts in the castle, the diaries and Arthur Ludworth certainly not an old relic but one who is distractingly handsome. Will the missing painting remain a legend? Will Lucie’s past catch up with her? 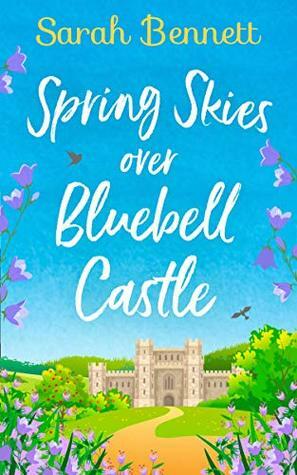 Will Bluebell Castle survive the debts, the intrigued and the new love burgeoning within its walls? Not up for me to tell you – go and read this wonderful new novel in the first of a new series from Sarah Bennett. It has everything that I could possibly want from a really good story; romance, mystery, history, a castle and even a Butler! If all or any of these things, fascinate you then read the book, it will bring joy to you in abundance. It is like the Antiques Roadshow meets Downton Abbey and I am totally in love with it! Sarah Bennett has done it again and I think this is going to be her best series to date. Thank you to the author, netgalley and Rachel’s Random Resources for the opportunity to read this book and be part of the Blog Tour. Great news to – we are going to return to Bluebell Castle later in the year! Britain is at war and people are affected in many ways. No more so than Tyneham in Dorset who have given one sacrifice more than most – giving up their village. The village is going to be handed over to the Army for training and once the war is over the residents will be able to return. On the night before they are all due to leave, a tragedy strikes and three people suddenly have their lives changed forever, but what became of them and did they return to Tyneham. Melissa is on holiday in Dorset on what was supposed to be a romantic break – but it seems the break is not going to be a romantic one but a more permanent feature. On a whim she goes out to explore and finds herself at Tyneham. Tyneham village has reopened to the public. People can go and see the village that was never given back to its residents, it was simply forgotten. But some of the residents are still alive and remember what happened almost 75 years previous. One of those residents is Anna whose grandson is Guy a famous TV historian and personality. When he bumps into Melissa the spark of interest about the village is forged between them. And when a photograph speaks of something much more, Melissa with nothing but a broken heart to nurse decides to find out the truth but what does it have to do with Anna? This debut dual time novel covers a fascinating aspect of war – the villages requisitioned. The past narrative is more concerned with the characters of the time, based around the events happening but it still gave a feel of what it was like then. The present day story was a lovely section and the connection to the past was not the most obvious although the events of the present were predictable. The book left me wanting more, not only did I want to know more about people who were moved away from their homes, but I wanted to see how Guy and Melissa working together to research other interesting past stories. If you have never considered a dual time narrative then I think this would be a great book to start with – it is not an epic novel but one you can easily take on holiday and happily relive another time. I will be interested to see what the author chooses next. 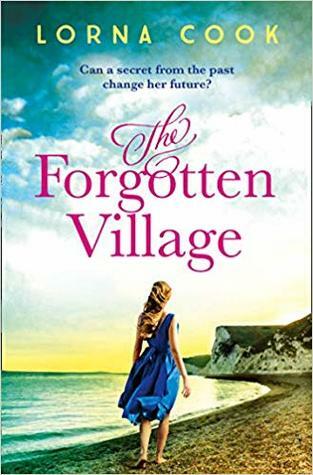 The Forgotten Village is published on 4 April. Callie has not ventured far from her home village. She did branch out to university but due to the death of her grandmother she comes back to stay with her grandfather and doesn’t leave again. Having lost her father and her mother now remarried, she finds that home is the best place for her to be. With a job in the local bookshop, Callie is just really coasting along in life. When a new owner takes over the shop, Callie has an idea – a coffee shop – and for once someone listens to her. So her plans to create a little coffee shop tucked away amongst the books is what Callie needs to boost her confidence and be proud of what she has done. Gathering waifs and strays along the way Callie forms some strong bonds, with stressed out mums, a young girl with anxiety issues as well as having to deal with her 80-year-old straight talking grandfather who has some wacky plans for the rest of his days. She doesn’t have really much time for romance. That is until Noah, a face from the past appears in the village. Callie heard Noah say something back before she went to university and has never forgotten it and therefore the last things she wants to do is bump into him. But in a small village and with Noah’s brother renovating ‘the big house’ into a hotel it seems that their paths are going to cross more than once. What did Noah say all those years ago? Can Callie ever forgive him? This is the first in a new series of novels from Liz Eeles. It starts quite slowly and really you are just getting to know everyone in the village as you would need to do but it does pick up and then you start to care about Callie and her wonderful grandfather as you learn more about their past. With the other new characters introduced you can start to see that this story and therefore the series could in fact go anywhere…..romance, humour, family dynamics, mental health problems, broken marriages, bullying in fact you don’t realise how much is covered as it seems such a gentle read on the surface. A satisfying read and I can’t wait for another cup in the Cosy Kettle Café. 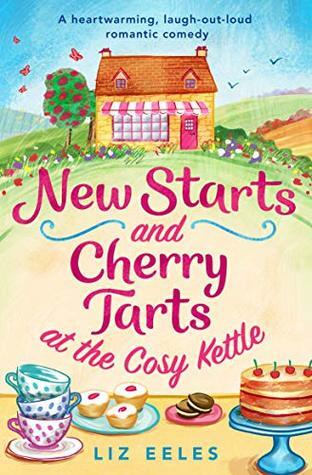 New Starts and Cherry Tarts at the Cosy Kettle is out now.